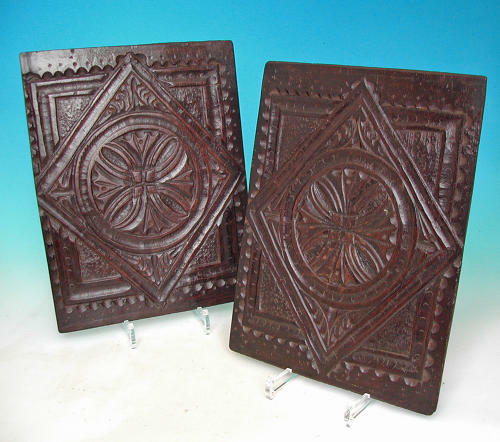 A Superb Pair Of Early 17thc Oak Carved Panels. English. C1620-40.